Check this out: If I unwisely take out a $12,000 loan for a new car, my credit score is estimated to go up by one point. On the other hand, if I wisely transfer a $4,000 credit card balance to a lower-interest card, my score is estimated to drop by 70 points! Those are two of the surprising results I got playing around with the free Credit Score Simulator from Credit Karma. The online tool lets you check out a dozen different scenarios to see how they might affect your credit score before you make any decisions. What Does the Credit Score Simulator Do? Since these are personalized results, you need to sign up for a free credit monitoring account with the company. In the years I’ve had my account, I’ve never had to pay a cent. “It will show personalized offers to you based on your credit profile,” Credit Karma says, but you can just ignore the ads if you’re not interested. To give you an idea of how the various factors might affect your credit score — and why — here are some of the results I got from the simulator. Estimates are based on each individual’s credit profile, though, so your results may be different than mine. For example, a new loan might boost my score, but lower the score of someone who already has too much debt. And in all cases, of course, your real-life results might vary from the simulator’s estimates. Here’s what happened when I tested these simulations. I selected “auto loan” — you can also choose “mortgage” or “personal” — and entered $12,000. I entered a balance transfer of $4,000 and saw that my score would drop by 70 points because of a new “hard inquiry” on my credit report. It also would lower the average age of the accounts on my credit history, assuming the transfer was to a new card. “1. You may decide, however, that the money you could save on interest outweighs the potential drop in your credit score. With on-time payments, the negative effects usually wear off. The result could also be because I don’t normally carry balances from month to month, so I would be adding $4,000 to my debt load. If you already owe that much and transfer it, your score may not be hurt so much. Chase recently denied me a new card despite my over 800 FICO score. When I asked why, they said the denial was because I’ve opened more than five accounts in the last two years. The credit score simulator says the denial will cost me six points due to the hard inquiry. To avoid this, check online for any reasons you might be denied a particular offer. I’d seen Chase’s “five cards in two years rule” mentioned on at least one blog before I applied, and I had opened a dozen accounts in the prior two years. Investigate before you apply, and you’ll save yourself a penalty. A new credit card with an $8,000 credit limit won’t change my score at all, according to the simulator. In general, my score has only slightly bounced around with all of my new accounts. Short-term drops from hard inquiries for new cards are probably offset by credit score increases from the resulting lower credit utilization ratio. 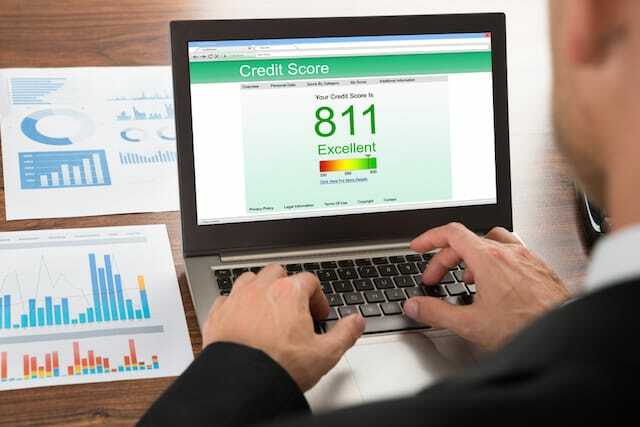 After all, unless you immediately run up the balance on a new card, a new credit line lowers the percentage of your total credit used (what the credit utilization ratio represents), which is good for your score. Closing a credit card account may hurt your score if it significantly lowers your total credit limit, and raises your credit utilization ratio. Closing an old account can negatively impact your score because it will lower the average age of your credit history. But the impact apparently isn’t that bad — closing my oldest credit card (14 years old) would only knock two points off my score, according to the simulator. I entered a $5,000 increase for my credit limit and discovered my score would go up one point if the new limit was approved. Many credit card issuers do a hard pull (hard inquiry on your credit report) when you ask for a limit increase. But, the negative effect of this may be offset by the positive effect of a lower credit utilization ratio achieved through a limit increase. If you have several credit cards you may be able to avoid hard inquiries altogether. Just ask for the increase from credit card issuers who do a soft inquiry for a credit limit increase. In general, lower credit balances are better for your credit score. I couldn’t test that on the simulator because I don’t carry balances — I pay in full every month. But, if I increase my balance from the current $703 to $20,000, my score would drop by 41 points, according to the tool. “Increasing the balances on your credit cards raises your credit card utilization rate and total debt, potentially negatively impacting your credit score,” the tool reports. Unfortunately “past due” is not defined — is it three days late or more than 30? Either way, my score will drop by 93 points if one of my card accounts is past due. And, if all of my accounts are past due, I can expect my score to drop by 277 points! Clearly, you do not want to make any late payments — ever. My credit score will drop 24 points if I don’t pay my taxes. Surprisingly, a civil judgment that includes wage garnishment would only reduce my score by about 24 points. “It could indicate to lenders that you’re a higher credit risk and will usually lower your credit score significantly,” the simulator said. “Going into foreclosure is typically a strong indication that you’ve had trouble paying off your debts in the past,” the simulator says. But surprisingly, a foreclosure only knocks 24 points off my score — and anyway, I don’t have a mortgage. What happens if I have an account sent to collections? My score drops 187 points! Once again, we see that paying your bills on time is the most important thing you can do to protect your credit score. Planning to make one of these money moves in the near future? It might be worth taking a few minutes to play with the simulator and see how it will affect your credit score. Your Turn: Have you seen big changes (positive or negative) to your credit score, and do you know what caused them?